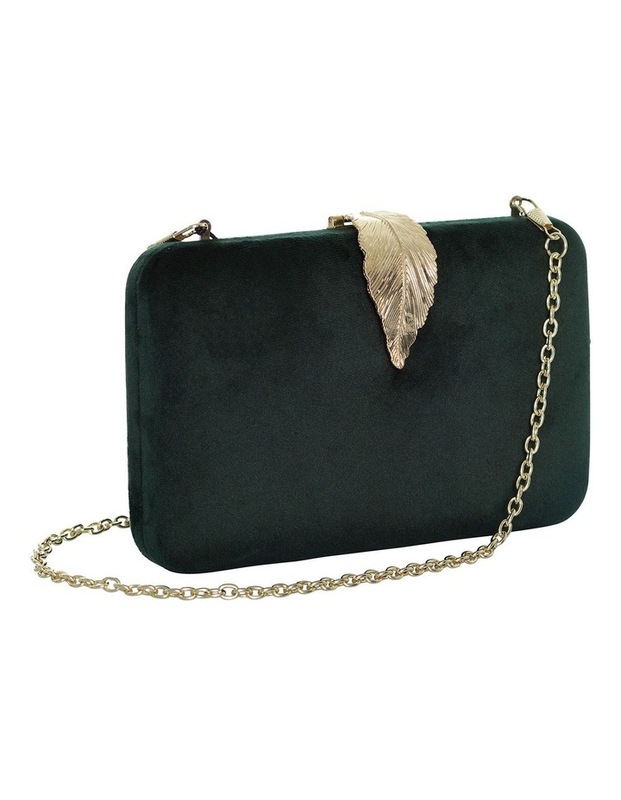 No evening outfit is complete without the perfect clutch, so look no further than this Keily Clutch. 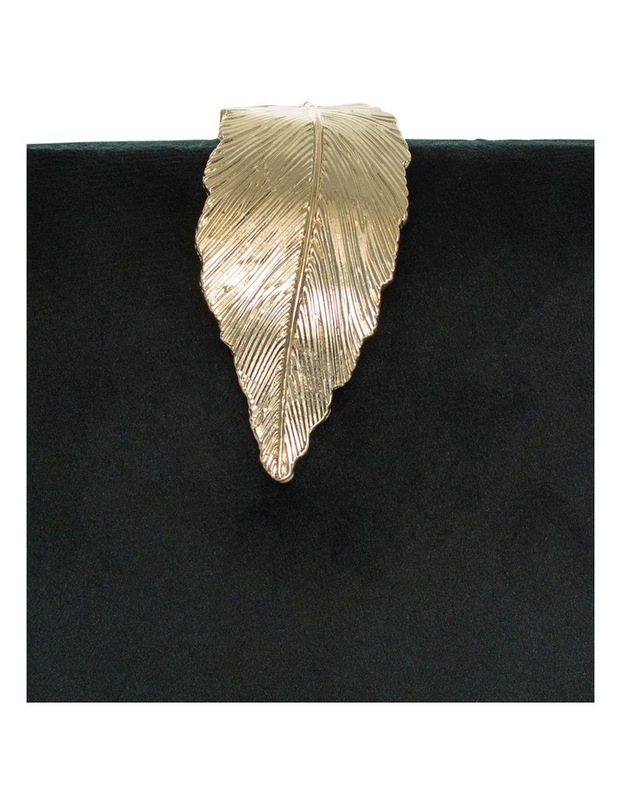 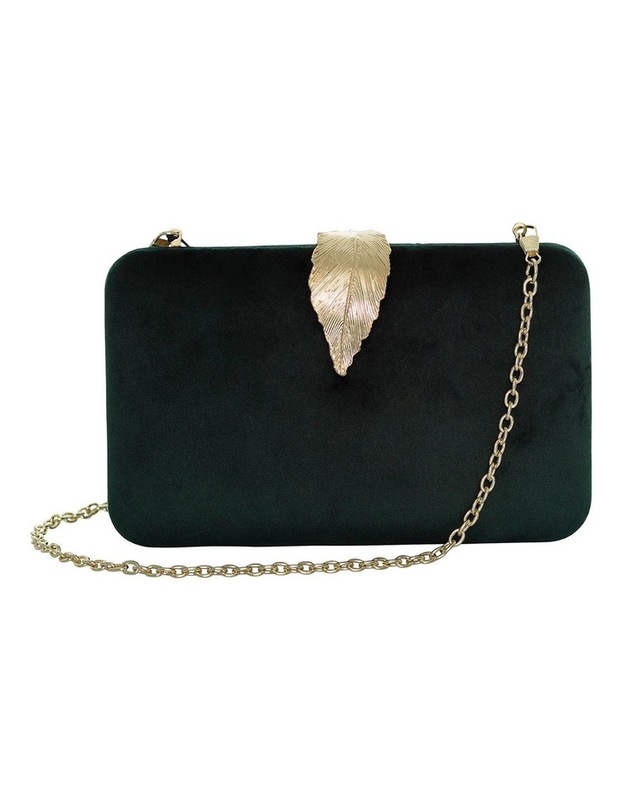 Crafted from soft materials in a stunning dark green, and adorned with a gold leaf clasp. 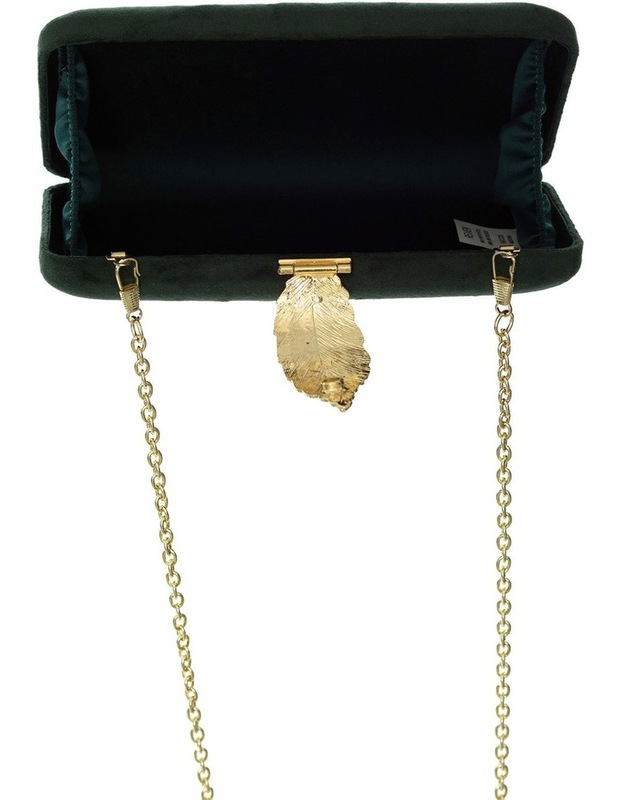 It also comes with a gold chain if you want to wear it across the body.